1) Pour out all of your Cane Glass Beads and make three seperate piles for the three different colors of Czech Fire Polished Donuts. Take one of the Headpins (HP153) and thread on one Czech F.P. Donut (whichever color you so choose) followed by one Cane Glass Bead and another Czech F.P. Donut in the color that you first strung onto the Headpin. Use your Chain Nose and Round Nose pliers to make a simple loop, cutting off any excess wire along the way with your Side Cutters. 2) Open the simple loop that you just created slightly with your Chain Nose pliers, and attach to one of the links on the bracelet. Make sure to close the loop securely. 3) Continue threading on the Czech F.P. Donuts and Cane Glass Beads onto the remaining 33 Headpins the same way that you did in step #1. Attach each of your finished Headpins to the bracelet on various links (don't feel that you have to go systematically down the line). 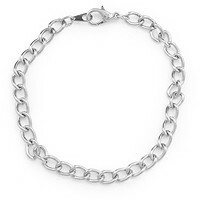 You can always attach two (or three) Headpins to the same link to give the bracelet more body when you're wearing it. 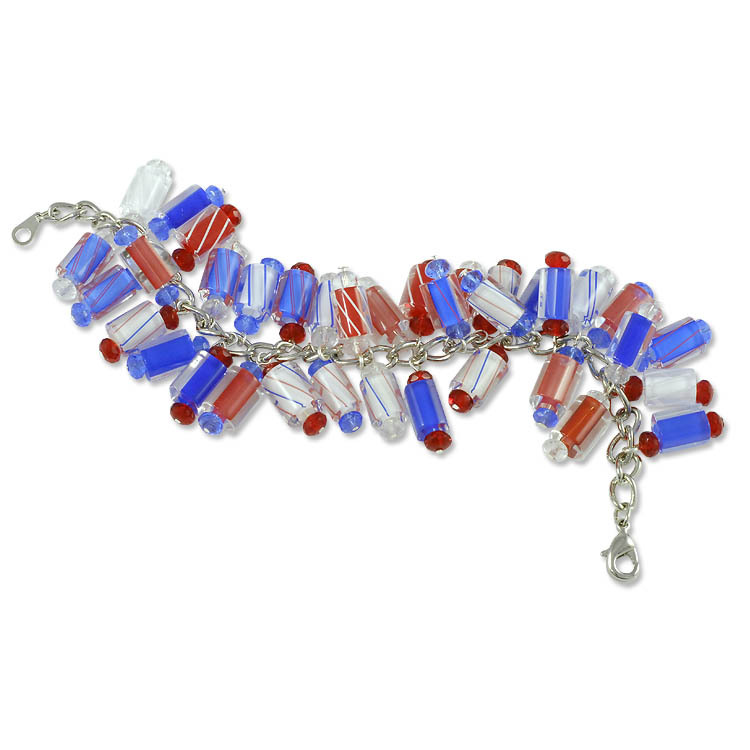 This is a visually eye-catching and fun bracelet. A: often times the beads used in these designs have been discontinued or are no longer available. We keep the designs on the site to give project ideas. 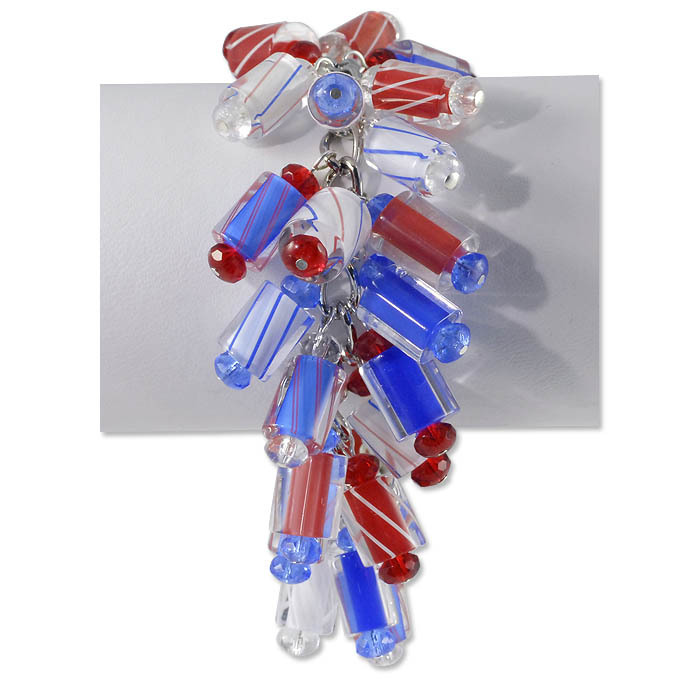 There are other beads which can be used to create the same look.